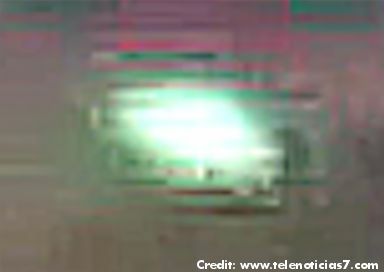 An image captured by a pilot in the South, up the curiosity to see on the screen what appears to be an unidentified flying object (UFO). The image corresponds to a flight on Wednesday, January 23 before. The video is seen as entering a rapidly moving object below the aircraft. 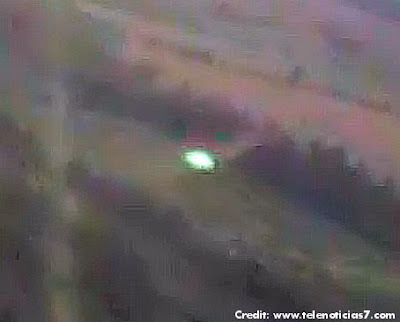 The video was captured by the commercial pilot Joseph Daniel Araya, who has more than 500 flight hours. Araya says he was recording with his cell dawn when suddenly the camera screen saw the object moving ending, when he noticed out of the aircraft there was nothing, said the pilot, who argues that to reach the saw the UFO house, for he is eloquent image and must be heard. To find an answer to what happened we went to Jose Alberto Villalobos astronomer and UFO researcher Alexis Astua. Villalobos estimated that the object on the screen can have a length between 7 and 10 meters. His movement eventually would reach 3600 kilometers per hour, seven times more than the ship from which the image was captured, pear could be facing a product lens reflex camera, says astronomer. Meanwhile Astua does not rule out a UFO but also secondary reflection theory. The sighting in the South is not strange, since in this region there are constant reports Rican. . . .
Costa Rican Man Captures Amazing Images of UFO on Cell Phone Camera! Reflection- seen this before. Bet the light faded away which you can see it starts to do.